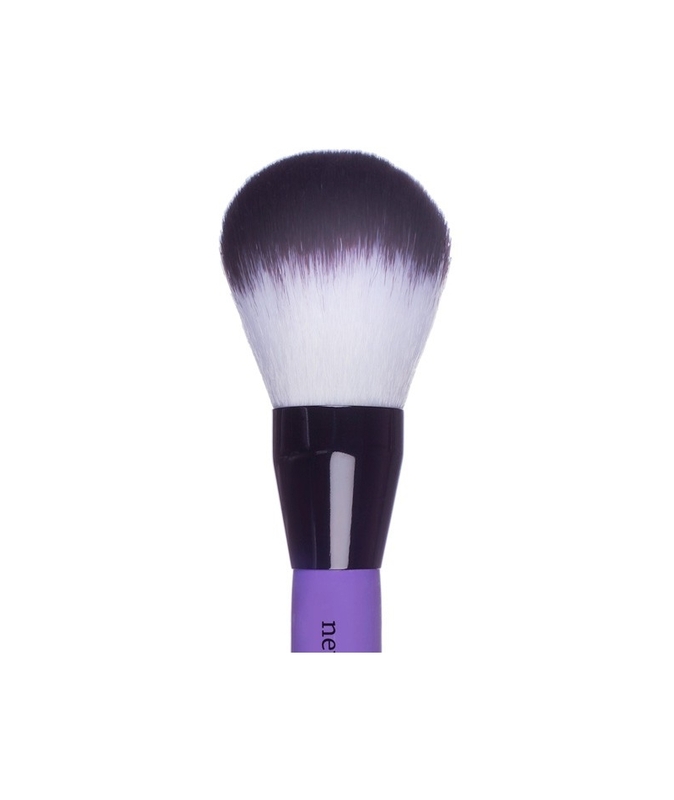 Wide, fluffy brush for face powder and bronzer. Perfect for applying face powder and other powder to your face, décolleté and neckline. 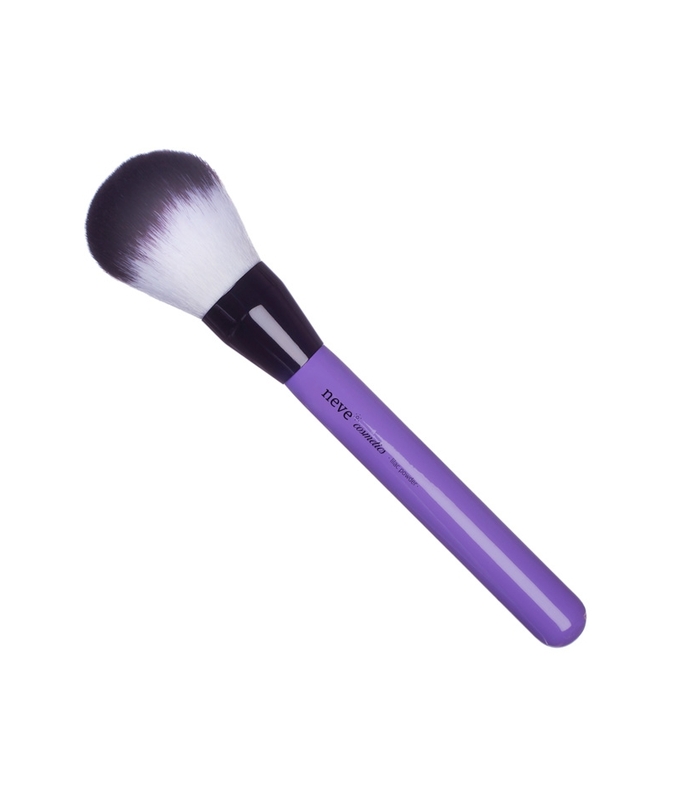 Cold purple, varnished wooden handle with a shiny finish, shiny black, polished metal ferrule, dual-colour bristles made from cruelty-free synthetic fibre. Uses: face powder, bronzer, all-over.